Boy George is setting the record straight on his relationship with fellow English singer George Michael. The 55-year-old "The New Celebrity Apprentice" contestant and Culture Club frontman discussed his rumored feud with the late star on Tuesday's episode of "Watch What Happens Live" following Michael's death in December. "I think in the early days, we were competition to each other. Both called George, both made soul music -- so in the early days, we were really in competition," Boy George admitted. "Then, sort of later on, I started to really appreciate what he was a musician. Right around 'Faith,' I really started to appreciate his talent," he shared. "[We were in touch] on and off [in his later years]," the star said. "[I was] not really [aware of his personal issues]. I read stuff in the papers, obviously, but I never knew... he very kind of kept people out. He was very private, so I didn't really know much about what was going on." 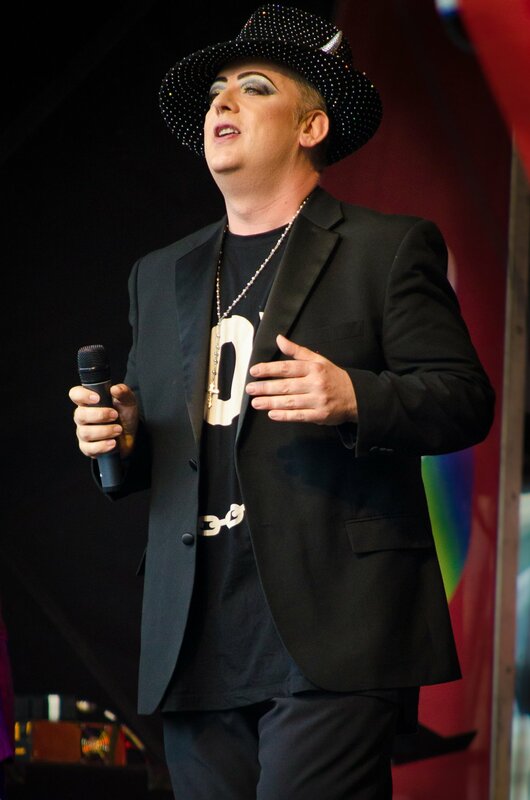 Boy George also addressed his reported conflict with Michael over the star's reluctance to come out as gay. Michael ultimately came out in 1998 and subsequently campaigned for LGBT rights. "Yes, we did [make peace]. Not really a feud. In the '80s, everyone -- Pete Burns, me -- we all used to be really [expletive] about each other. It was like the thing you did in the '80s," he said. "Nowadays it's a bit more respectful, but in the '80s you just said vile things about everyone." Michael, born Georgios Kyriacos Panayiotou, died Dec. 25 at age 53. His longtime manager, Michael Lippman, said heart failure was suspected, although an autopsy was "inconclusive" and further tests ordered.